There is a place in California that is unlike any other. A resort that is easily labeled fabulous, but also attempts to awaken your inner child and quite possibly your spirit. Carmel Valley Ranch will do its very best to help you unwind, but this resort will also tempt you to do something you may not have done in quite some time; play. 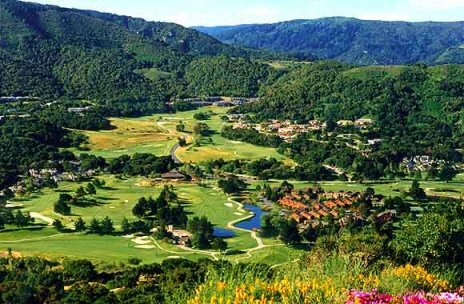 Located in the sublime Carmel River Valley in California amidst the impressive Santa Lucia range sits the remarkable Carmel Valley Ranch. Calling close to 500 acres of breathtaking land home, Carmel River Valley Resort not only entices guests with spectacular hotel services and amenities, but an abundance of activities that will inspire romance, invigorate connectivity with family and friends, help to rethink or revise business plans and most importantly revive the soul. This resort is unique in that it has created a plush retreat with amazing conveniences and unprecedented service, but that has centered itself around having fun however you see fit. 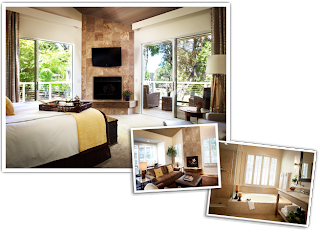 Carmel Valley Ranch offers guests the choice of 139 spacious and chic suites. All of the rooms have been newly renovated and feature tall ceilings, sleek fireplaces, custom-made furnishings, gorgeous bathrooms, private decks and a cozy feel. Although the suites are delightful, a stay here is all about getting out and doing something amazing. Therefore the choices of how you would like to spend your day are impressive. 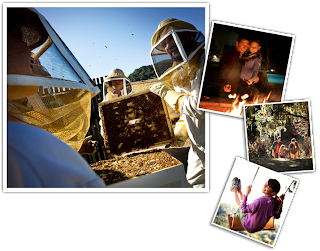 For those that are curious, try garden tours, bee experiences, adventures in the kitchen or similar workshops. If you are more of a fit guest, check out the guided hikes, fitness classes, yoga or Tai Chi, tennis, basketball or hit the links at the resorts very own Pete Dye designed par-70 golf course. If relaxing is more your style, check out the stunning Spa Aiyana for a rejuvenating treatment, hit one of the pools or hot tubs, unleash your inner child on the tree swings or head out after dark for some s'mores and stargazing. And if you travel here with the kiddos, they too will have a great selection of daily activities including "Ranch Hands" camp, evening children's activity center, River Ranch Complex as well as simple childcare. If you are here with your furry four legged kid, ask the hotel staff about the pet-friendly activities proving that there really is something for everyone in your family. 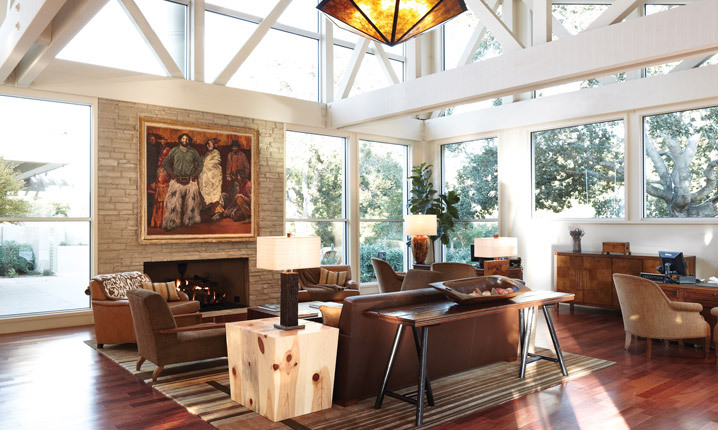 And if you are here for business, Carmel Valley Ranch can provide meeting rooms as well as group activity guides to help create the perfect work retreat. After a day filled with fun, you are sure to work up an appetite and Carmel Valley Ranch is ready to ensure you find culinary heaven. Touting local and organic foods, this amazing resort offers guest fresh seafood pulled from the Monterey Coast and produce from local artisans embracing the whole farm-to-table movement. Guests can choose from the Lodge Restaurant, River Ranch Cafe or the Golf Clubhouse for a variety of meals and food selections that are sure to please. 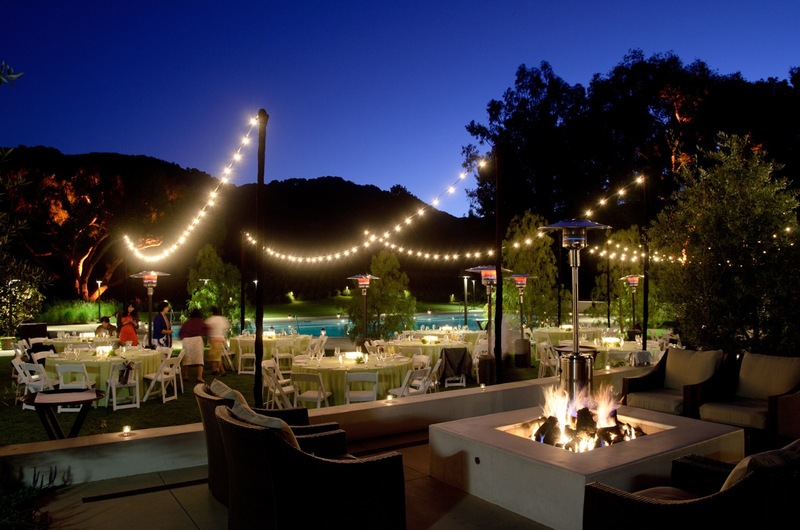 Carmel Valley Ranch has thought of everything when it comes to the perfect getaway. If this destination seems to be the ideal fit for your next personal or business excursion, then let WhatAHotel! assist you with your reservations. By booking your travel with us, you can receive Exclusive Complimentary Perks and Benefits like continental breakfast for 2 daily, a $100 resort activity credit, early check-in and late check-out options, and right now as a special offer, guests will receive two complimentary rounds of golf. 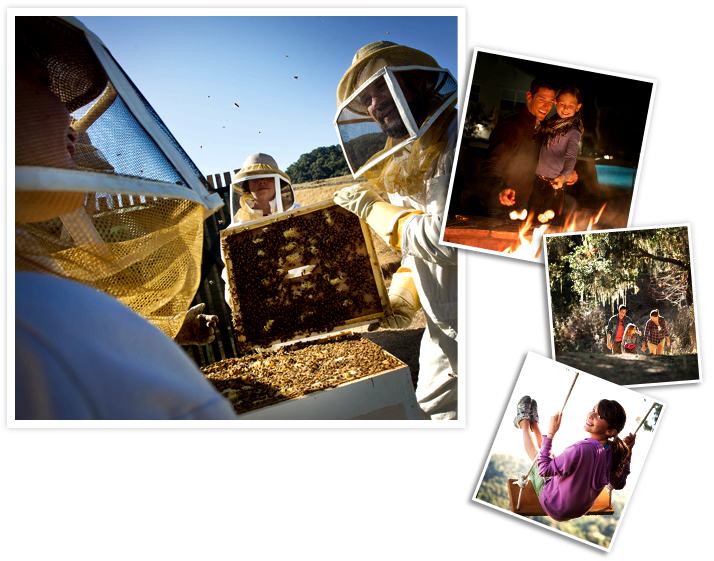 You can find all of this and much more at the award-winning Carmel Valley Ranch. Pack your bags because your play-date awaits. 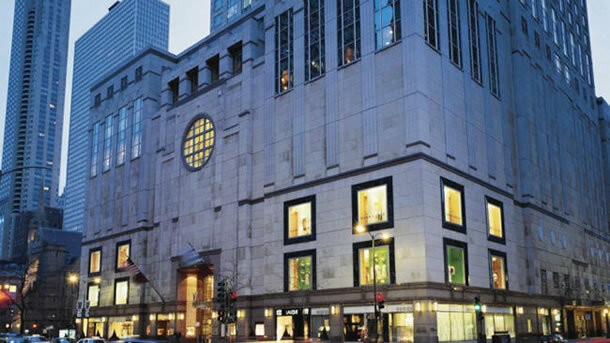 Water Tower Place is a landmark site for Chicago, sitting in an area famously called The Magnificent Mile. This impressive tower is home to retail and restaurants as well as the very chic Ritz Carlton Chicago - A Four Seasons Hotel. Located on the top floors of the Water Tower Place, The Ritz Carlton has awesome views of the city and the lake. 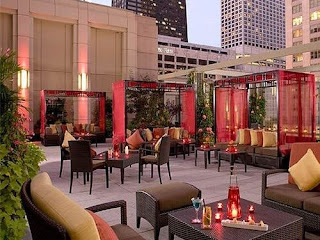 Check in high above the Chicago city streets skyline at the fabulous Four Seasons Hotel, Ritz Carlton Chicago. 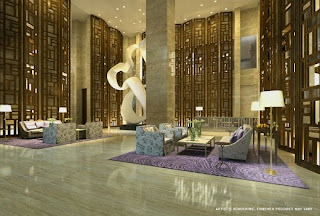 Upon arrival at the top of the tower, guests will find the exquisite and prestigious Ritz Carlton Chicago lobby. But the elegance doesn't stop there. Choose from a city-view or a lake-view room and get ready to be impressed. 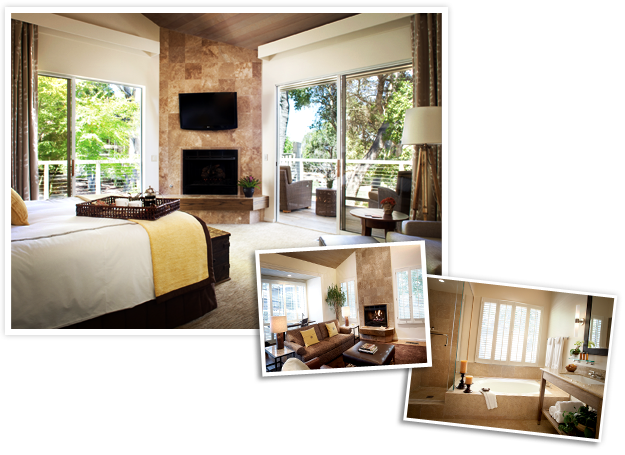 All rooms and suites feature large picture windows and stylish decor. Take a tour around the hotel and find a modern fitness center with top-of-the-line equipment and a heated lap lane pool, or step into the tranquil surroundings of The Spa at the Carlton Club for a bit of quiet calm. Here guests can have a facial or body treatment, hand or foot treatment or even head to the salon for a new look. Other fabulous amenities include a high-tech business center, an award-winning restaurant and the new rooftop bar that is sure to take your breath away. When planning your trip to Chicago, allow us to book for stay. 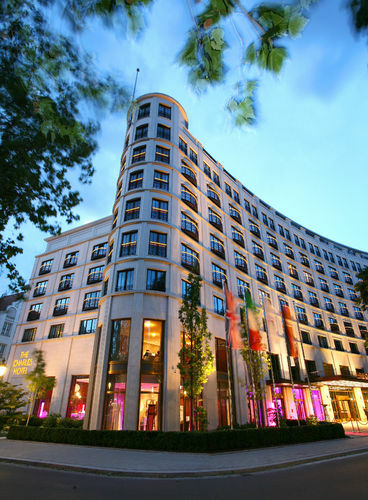 WhatAHotel!, owned by Lorraine Travel, is a Four Seasons Preferred Partner. This invitation only privilege proves that we share a mutual commitment to experiences of exceptional quality. It also allows us to offer amazing benefits for our customers. Along with hotel credits and breakfast, right now guests can also receive the "3rd Night Free" special. This special is combinable with our Exclusive Complimentary Perks for an outstanding deal. 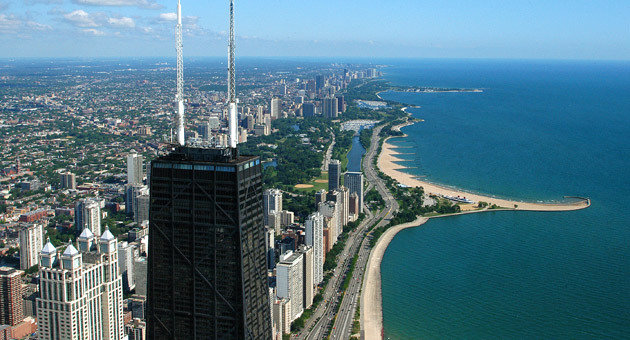 Find a true gem along the Chicago coastline when you stay at Ritz Carlton Chicago. 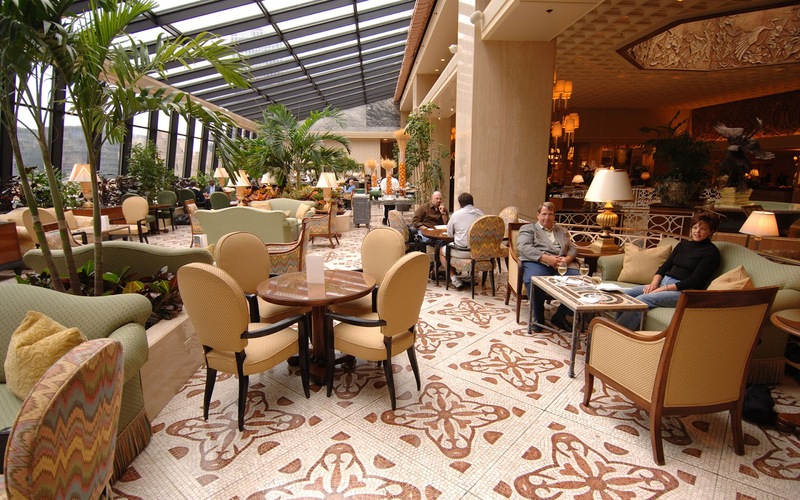 A trip to Chicago should absolutely include shopping and dining on Michigan Avenue along the Magnificent Mile. This amazing strip has been compared to the fabulous 5th Avenue in New York and Rodeo Drive in Beverly Hills. It is "THE" place to shop in the Midwest. With such a remarkable address comes fabulous hotels. and so it is no surprise that Ritz Carlton Chicago calls this area home. 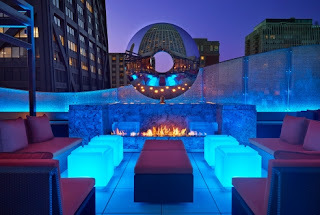 High above the city streets, looking out over the stunning city and towering over the large expanse of Lake Michigan, this Four Seasons Hotel is a true masterpiece. Sleep with your head in the clouds and your feet firmly planted in very plush carpet. Some hotels have a history, a past rich in stories, guests and fabulous service. But just because a hotel has a past doesn't mean that you should ignore the birth of new establishments. Phenomenal hotel chains are always looking for a new city, a booming market, to build onto their prestigious empires and St. Regis has done just that, choosing an area with historically significant architecture; Miami. Forbes touted that the St. Regis Bal Harbour was the most anticipated hotel opening in 2012 and it only takes one step inside this illustrious hotel to see why. This oceanfront beauty shows off exceptionally stylish decor, elegant furnishings, magnificent service and amazing amenities. It's situated on Miami Beach just across from the highly sought after Bal Harbour Shops and only minutes away from pulse-pounding South Beach. 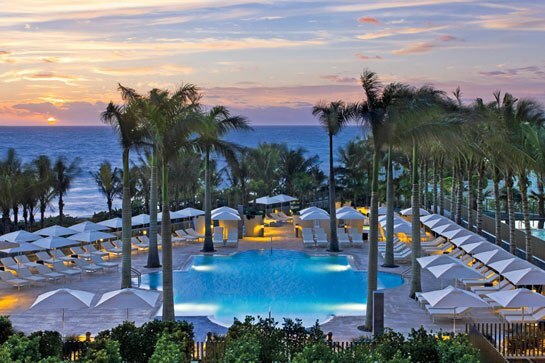 St. Regis Bal Harbour treats guests to an abundance of seductive ways to spend their day. Book a treatment at the on-site spa, Remede, and discover the true meaning of relaxation, or head to the beach and dip your toes in the clear water of the Atlantic. Cocktails are served poolside in the evening and then head to one of the mouthwatering St. Regis restaurants that promise a delicious experience. 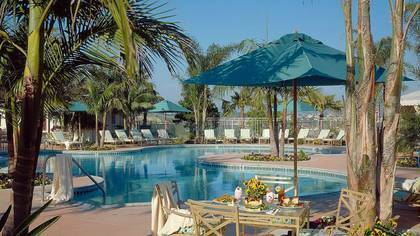 The oceanfront pools are immaculate and treat guests to an oasis near the surf. Rent a cabana for the day and enjoy feeling completely pampered. 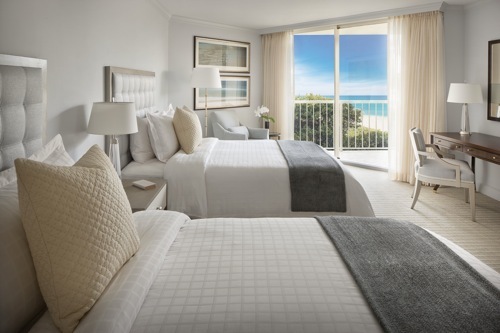 The rooms and suites at St. Regis Bal Harbour are as gorgeous as the rest of the hotel, offering guests a chic yet comfortable room with a stunning view. St. Regis Bal Harbour has created a hotel that is almost flawless, from the design, to the service, and last but not least to the experience. 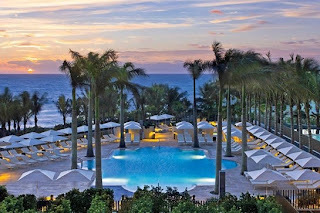 St. Regis Bal Harbour is one of the Best Hotels in Miami. 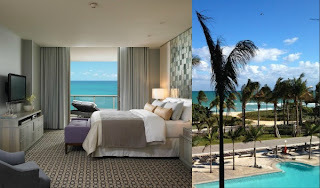 When planning your trip to Miami and South Beach, WhatAHotel! would love to assist you in providing you with Exclusive Complimentary Perks that are absolutely fabulous. Book your trip now and receive a special offer in addition to the already amazing perks, your 5th night free. Where else do you get to combine the exclusive perks with additional special offers? Let WhatAHotel! help you discover the beauty that is St. Regis Bal Harbour. Situated on a stretch of pristine beach on an island in the Atlantic, sits a chic and classic resort that is truly remarkable. 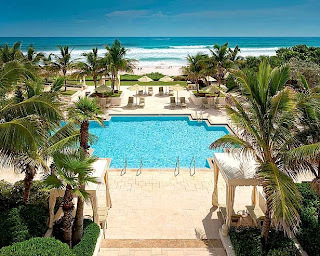 Four Seasons Palm Beach allows guests to experience coastal breezes, a beautiful beach and exceptional amenities at a resort that prides itself for offering unprecedented service. Immerse yourself in luxury when you travel to the gorgeous town of Palm Beach, Florida and stay in the always fabulous Four Seasons Palm Beach. Palm Beach, Florida is a destination rich in culture and sophistication. 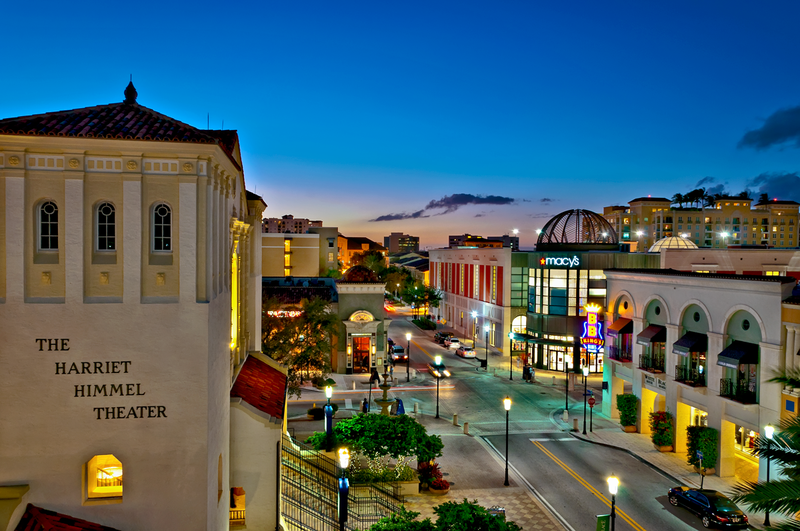 Museums, galleries, gardens, golf and shopping are all common ways to spend your time while in this coastal community. 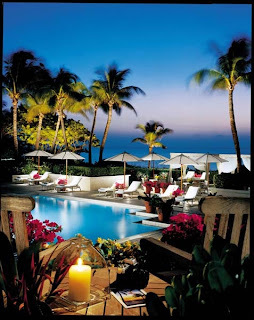 But when you stay at the Four Seasons Palm Beach, you may find it difficult to want to leave the resort grounds. The ways to spend your day are impressive. Lounge by the pool overlooking the beautiful ocean waters and enjoy a cocktail or chilled towel. The onsite spa promises adults a true treat where relaxation and rejuvenation are guaranteed. 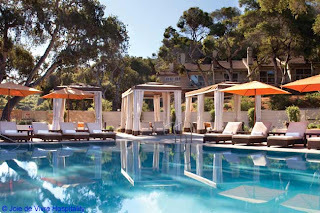 Although this resort is fabulous and very trendy, it is also a great place to enjoy with kids. Four Seasons makes sure that those little ones are happy as well with kids programs, family friendly meals and easy access to the beach. Dining at any Four Seasons Resort is fantastic, and this location is no different. Award-winning chefs create edible masterpieces that make your mouth water. Dine overlooking the Atlantic or poolside and feel completely pampered. 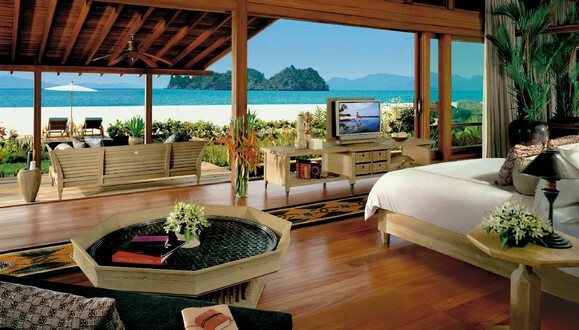 Even the rooms and suites at this amazing resort are unbelievable. 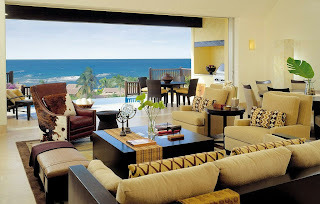 Furnished in the Palm Beach style, each room is spacious and offers a furnished balcony. Luxury and comfort are found everywhere you look at the magnificent Four Seasons Palm Beach. When planning your trip to this beachy destination, look no further than WhatAHotel!. We can assist you in booking your trip and in turn you will receive specials that set us apart from other online sites. Check out the "3rd Night Free" special that is combinable with our other Exclusive Complimentary Perks for an outstanding deal. Palm Beach is a vacation destination that will be simply unforgettable. Get ready to head to the beach in sunny Florida, a tropical adventure close to home. 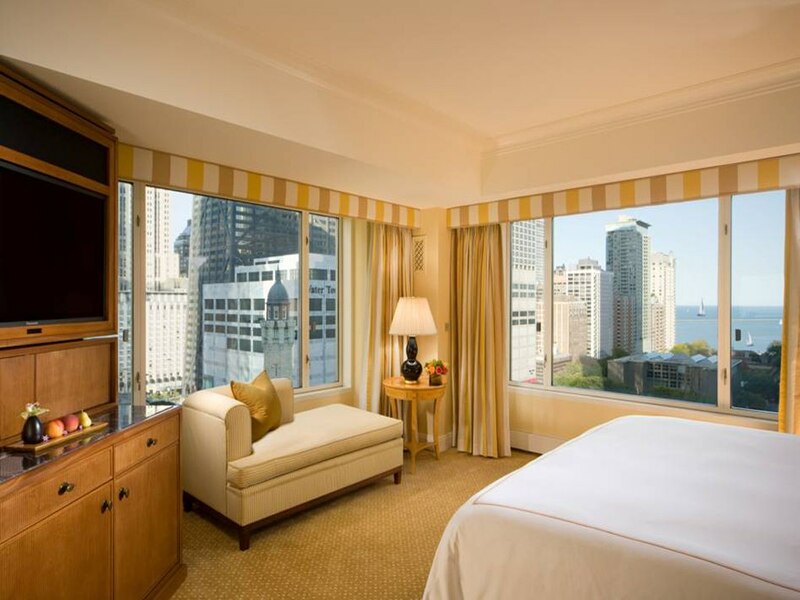 Nestled in the heart of the Magnificent Mile in beautiful Chicago sits The Peninsula Chicago. The Peninsula is a hotel group that utilizes everything wonderful about the far east and meshes it with the local hotel's character. In Chicago that means Far East graciousness meets Midwestern hospitality. 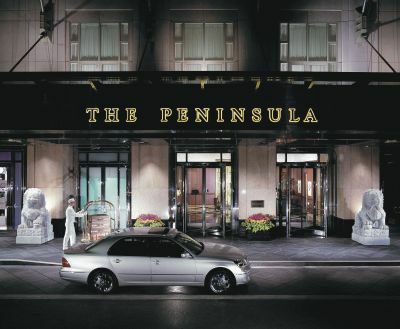 The Peninsula Chicago has a perfect location situated near everything worth seeing in The Windy City. 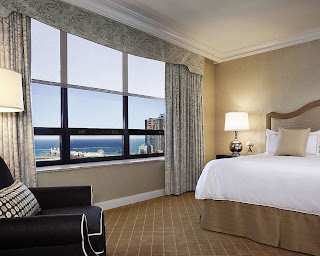 With close proximity to Lake Michigan and Michigan Avenue, this hotel offers guests fabulous views and is just steps away from the city's most exclusive shops and the historic Water Tower Place. 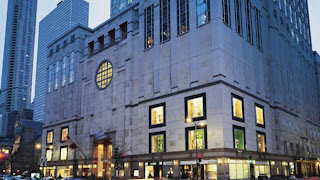 The Peninsula Chicago is under 20 miles from both airports and with over 9,000 square feet of meeting and event space available, this hotel is perfect for any type of event or gala. But what makes this hotel truly remarkable is the service and amenities. Over 300 guest rooms and suites are furnished in a classic style and adorned with a modern electronic system that allow guests to control guestroom features. The rooms also feature a deep soaking tub, hands-free phone, over-sized desk as well as everything you would need to conduct a day of business. The spa inside The Peninsula Chicago promises to melt your worries away while guests will find the fitness center lacking for nothing. Dining at this top-notch hotel is also spectacular. Guests can choose from The Lobby restaurant, Shanghai Terrace or The Terrace. All three options showcase amazing menus that are sure to please even the pickiest eaters. When planning your trip to Chicago, allow WhatAHotel! to assist you with your plans. When booking your stay with us you can receive Exclusive Complimentary Perks that set us apart from other online travel companies. In fact, in addition to the normal benefits, The Peninsula Chicago has an additional special offer. Right now guests can get a third night free in combination with the standard perks making our offer the best value anywhere. Head to Chicago and get to stay in an award-winning hotel with spectacular amenities, phenomenal service, and amazing perks and benefits. The city of Chicago is a fabulous place to visit with friends, family or even for business. The beloved city has a number to great ways to spend your days and nights and truly magical hotels ready to wait on you in every way. By choosing to book your stay with WhatAHotel!, you can be sure to stay at one of the Best Hotels in Chicago. By choosing to book your stay at The Peninsula Chicago, you can receive a free third night and fabulous additional perks. Make Chicago a great vacation destination or money making business venture. Either way, this city is ready and waiting to impress in every way. New York City has always been a favorite travel destination for tourists, business travelers and lovers of the arts and culture. The large size of the city should be daunting, but many find the streets welcoming and filled with excitement. If you find yourself heading to this marvelous city, there is no doubt you can find any number of fantastic places to stay. WhatAHotel! is proud to offer Exclusive Complimentary Perks and Benefits at many of the Best Hotels in NYC to ensure that your trip is something to remember. 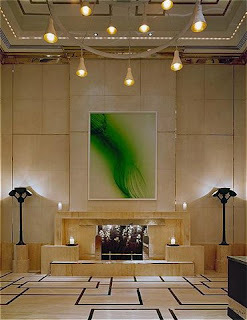 One such hotel, The London NYC, offers these perks and benefits along with elegance and style that prove top-notch. With so many amazing places to stay in New York City, many hotels have gone above and beyond to set themselves apart from the hotels around them. 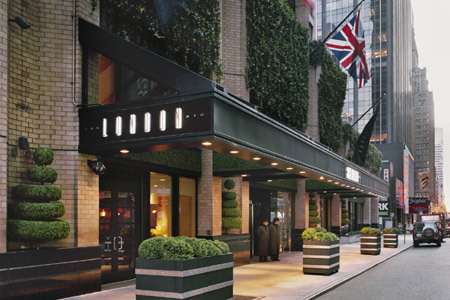 The London NYC happens to be the tallest and quite possibly the best location of any other hotels in the city. Views from The London include impressive and rare glimpses of Central Park not to mention the city skyline. Although these characteristics are enough to set it apart from other hotels, there are still many other amenities that make it truly remarkable. Touting "livable glamour, sophisticated style, and intuitive service" The London is steps from Fifth Avenue and Broadway as well as New York's cosmopolitan epicenter. Guests that stay here can find spacious suites, unprecedented concierge service, fine dining by Gordon Ramsay, and a modern fitness club with a stunning pool. Add Exclusive Perks like Continental Breakfast for two at The London Bar, one lunch for two at Maze Restaurant and the option of early check-in and late check-out. This hotel screams style and elegance in every element from the lobby to the dining room to the guest suites. A stay here is simply fantastic in absolutely every way. The London NYC may be just one hotel in the midst of hundreds in a large and spectacular city, but it stands out in every way. Let WhatAHotel! assist in booking your vacation and receive perks and benefits that only add to the excellence of your stay. New York City promises guests an extraordinary experience however you plan on spending your time here, from a Broadway show, to shopping, to a cultural tour of museums. 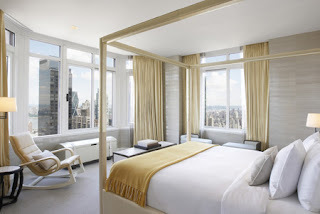 A stay at The London NYC will enhance the beauty and charm of this fabulous city in every way. Get ready to fall in love with The Big Apple and The London NYC. The Four Seasons line of hotels and resorts can be found all over the world and every one of their locations is highly rated and promises exceptional quality and service. The beautiful Four Seasons Aviara Residence Club is no different when it comes to its amenities and staff, however this is no typical hotel. 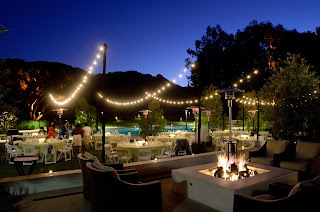 Located in the gorgeous North San Diego area, the Aviara Residence Club offers guests a home away from home in the heart of a truly unique Pacific coastal community. Four Seasons created a resort in an American city with one of the best year-round climates, San Diego, within a picturesque natural sanctuary. The Spanish colonial architecture of the villas only adds to the charm and character of this remarkable resort. What makes this Four Seasons a bit different from other locations is the offering of shared ownership, giving proprietors the ability to plan a return trip year after year. If ownership sounds like something that you and your favorite travel companions would enjoy, you might want to act quickly, the vacation-home opportunity will only be available for a limited time. The Four Seasons Aviara Residence Club is remarkable for many reasons. It is in close proximity to Los Angeles and Orange County and a day trip to either location would prove fabulous, or you can simply just hang out in the stunning San Diego area and enjoy everything from Sea World to a visit to a local winery. Although the surrounding area offers a plethora of things to do and see, the residence will tempt you to never want to leave the grounds. It offers guests an 18 hole Arnold Palmer designed golf course, A swimming pool with wait staff and cozy loungers, 6 lit tennis courts with stadium seating, use of the state of the art fitness center as well as the luxurious spa that is frequently named one of the best in America. With villa's having kitchens, dining out isn't necessary, however there is a poolside grill if you are in need of a quick bite to eat. Room service as well as grocery stocking services are available so that you can enjoy your delicious home-cooked meals in the privacy of your villa. Laundry is located in the villas in addition to a laundry or dry cleaning service for those wanting a bit of help. 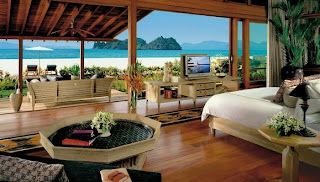 Housekeeping will also be provided to make sure that your time is spent enjoying the resort, not cleaning your villa. 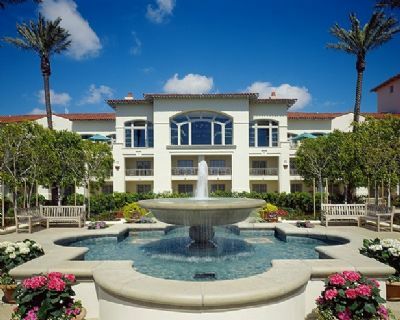 Four Seasons Aviara Residence Club has all of the amazing services that you can find at all of the many Four Seasons resorts worldwide with the look and feel of home. There are certain hotel chains that exude sophistication and prestige and Four Seasons happens to be one such chain. WhatAHotel! is proud to be a Preferred Partner with Four Seasons because of the shared mutual commitment to experiences of exceptional quality. Four Seasons Aviara Residence Club may be a bit different than the other Four Seasons Resorts with the option of ownership, but it still provides guests with unprecedented service and fabulous amenities. San Diego has always been a fantastic place to visit with a perfect climate and loads of character. Add in the Four Seasons name and this will surely be a trip to remember. Every year countless vacationers head to the beautiful coastline of the Baja Peninsula and the city of Cabo San Lucas. The pristine white sandy beaches and turquoise waters along with the luxurious resorts and festive downtown make this Mexican city a fast favorite. Although Cabo can be vibrant with a pulse-pounding nightlife, you can still find a resort that is quiet and secluded. 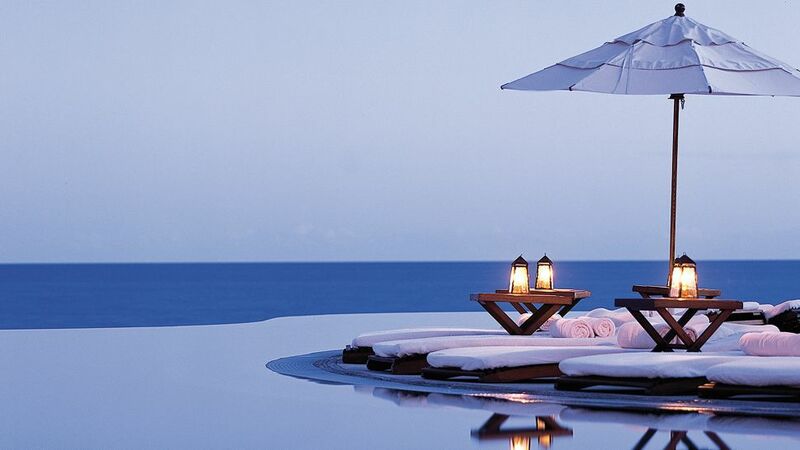 So, if you desire to get away from the stresses of the everyday world or find a romantic and secluded resort, look no further than the magnificent Las Ventanas Al Paraiso, where isolation and elegance blend beautifully together. The Las Ventanas Al Paraiso, A Rosewood Resort, opened its doors back in the Summer of 1997 in a flourish of hospitality and elegance. Still today the level of luxury has not waned. 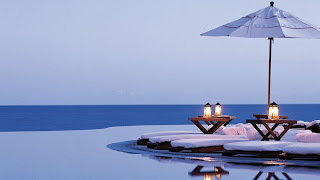 Since its opening, Las Ventanas Al Paraiso has won a number of awards and accolades that impresses not only the average traveler but also the jet set rich and famous. The world-class resort offers guests unparalleled service and outstanding accommodations. 71 suites are available in a variety of floorplans ensuring that regardless of whether a guest is in need of a four bedroom suite with a private pool or a two bedroom room with a self-contained spa, Las Ventanas Al Paraiso can provide the perfect setting. The amazing rooms are not the only grand part of this spectacular hotel. Visitors can also enjoy the gorgeous pool with private cabanas as well as access to the beach and ocean. Dining options here are divine including a poolside restaurant or the climate controlled environment of the interior restaurant. Other activities include golf, tennis and many types of water sports. Also offered is rest and relaxation at The Spa to either add a bit of romance to your stay or maybe an attempt to rejuvenate the spirit. Although the activities on the resort grounds are truly spectacular, a trip into town will also prove amazing. Here tourists can find delicious restaurants, festive bars, unique boutique shops as well as some selling local wares and of course loads of culture and charm. The guests that converge onto Cabo San Lucas include all types of people, even the Hollywood elite have come to love this spectacular town. Las Ventanas Al Paraiso tempts them with a secluded setting where even an entry sign does not exist. 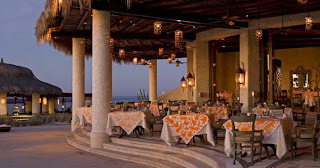 Everything found in beautiful Cabo San Lucas will make a return visit almost a guarantee. Let WhatAHotel! 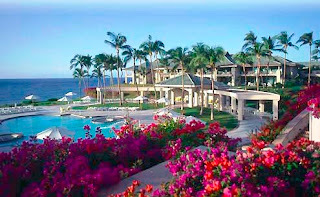 assist in booking your travels to the wonderful Mexican town of Cabo and the posh resort of Las Ventanas Al Paraiso. The state of Hawaii is one of America’s most visited destinations for leisure, and within the state are eight major islands (and over 130 “minor” islands), each with its own distinct environment and lifestyle. Three of these islands are Oahu, Lana’i, and Maui, and each is home to luxurious five-star resorts. Oahu is the island on which lies the capital of Hawaii, Honolulu, which is home to The University of Hawaii. Also on Oahu is Waikiki Beach, a beach that attracts thousands of tourists every year for its soft sand, surf-height waves, and magnificent vista of the peak of Diamond Head Mountain. Throughout Oahu you can see a very active city life, with many chain restaurants as well as locally-owned ventures. Oahu is best known by many for Pearl Harbor, especially the U.S.S. Arizona Memorial, the final place of rest for the 1,102 soldiers killed during the Japanese attack at Pearl Harbor in World War II. Tickets are sold at the Pearl Harbor Visitor Center to take boat launches to the memorial, but there are many other sights to visit on the premises while you wait for your boat launch (which runs every 15 minutes). I personally was very impressed by the organization of it all, let alone the magnitude of all the events that occurred. The experience definitely made me realize truly what a sacrifice the men and women who so valiantly gave their lives performed. 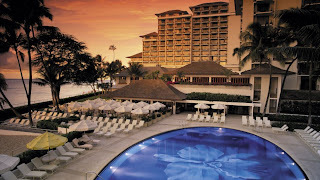 Of course, when you vacation to Oahu, you will want a luxury resort to return to after your sightseeing. 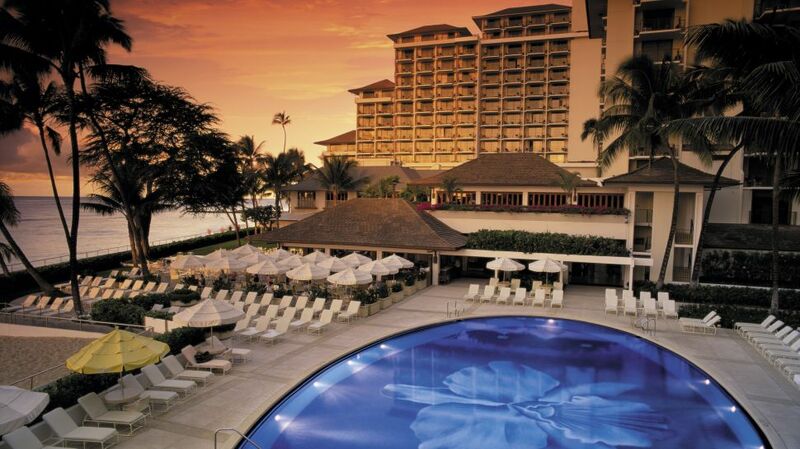 The Halekulani, U.S. News’ #1 luxury resort in Oahu and a favorite of numerous visitors, offers rooms and suites with breathtaking views of the ocean and Diamond Head. The spacious accommodations were recently renovated and now feature seven different shades of white throughout the room, which allows the majestic Hawaiian sunrise to brighten your day. If you reserve your room with WhatAHotel!, our Exclusive Complimentary Perks will help make your vacation one of your best ever. The island of Lana’i, otherwise known as the Pineapple Isle, is the former site of the majority of pineapple harvesting done in Hawaii, as the island has produced about all the fruit it possibly can. However, the lack of pineapple plants does not detract from the island’s beauty at all; however, driving through the island invites breathtaking scenes of either of the island’s main components: its coastline or its mountains. With very few residents (population 3,102 as of 2010) Lana’i is truly the island getaway, with all the isolation that can be desired in a vacation. The island consists of three main tourist attractions: Lana’i City, a quaint area of shops and local restaurants which sits in the center of the island; the Four Seasons Resort Lana’i, The Lodge at Koele, which ranked 2nd place in U.S. News’ 2013 list of the Best Hotels in the USA; and the Four Seasons Resort Lana’i at Manele Bay. The Lodge at Koele presents a true wilderness setting tucked in the mountains, while the Resort at Manele Bay gives visitors majestic sights of the ocean. Both properties feature state of the art accommodations as well as professionally-designed golf courses. From personal experience, I can attest that both courses - the Greg Norman and Ted Robinson-designed Experience at Koele, and the Jack Nicklaus-designed Challenge at Manele Bay, truly live up to their names. The Experience provides a mountainous setting that makes its players forget they are playing in Hawaii, with fog, wind, and occasional rain showers, capped off by a temperature 20 degrees cooler than Lana’i City or Manele Bay. 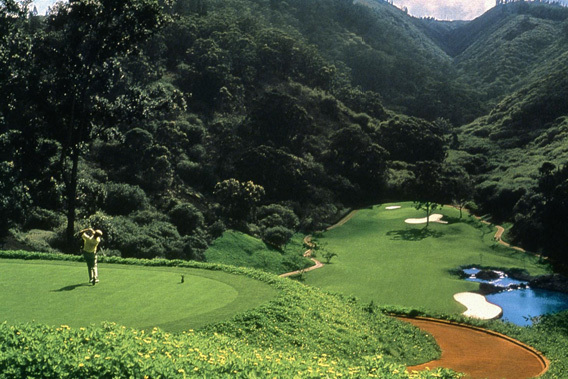 If you forget while playing at Koele that you’re in Hawaii, a 20-minute drive to the Challenge at Manele Bay will snap you back to your senses faster than you can say “Manele”. Either way, you will thoroughly enjoy your round at whichever course you decide to play. By booking these hotels with WhatAHotel.com, you will be able to receive our Exclusive Complimentary Perks to further enhance your stay. Maui is widely regarded as the top honeymoon destination in America, and it is a perfect fusion of the two islands I discussed previously. Maui combines Oahu’s city life and activity with Lana’i’s isolation, thus creating the perfect vacation spot for all. If you stay for multiple nights on Maui, then the Road to Hana should be a must-do on your agenda. The Road to Hana is a thrilling ride around the northern coast of Maui, featuring waterfalls, cliffs, and various other stops along the way. The destination (Hana) is nice, and there are some things to see at and around Hana, but the journey definitely is worth it. I’m a huge fan of the ocean, so I enjoyed stopping at the waterfalls and coasts where the water came and crashed against the rocks along the beach (There were a lot of these kinds of stops). This is a drive in which you are encouraged to stop along the way and see nature work its magic, but it is recommended to leave around 8:00 AM from your hotel so you can see it all and make it back before dark. There are 52 one-lane bridges along the way, so it is best to do those during the daytime hours. But what is a honeymoon destination good for if there is a lack of luxury hotels? 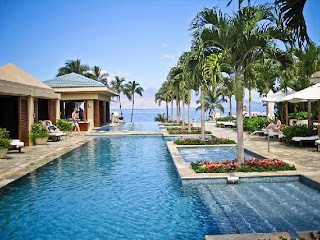 That’s nothing to worry about on Maui, as the Four Seasons Resort Maui at Wailea is the ultimate in 5-star resorts. Whether you crave the beach, the pool, the activities for all members of the family, or all of the above, the resort will leave you speechless from the sights and sounds of the island to the concierge’s assistance in helping you plan your itinerary to the unmatched service exemplified by Four Seasons. However, by making your reservation with WhatAHotel! you will receive our Exclusive Complimentary Perks. One of these, and my personal favorite, is the buffet included in your breakfast. From the banana-macadamia nut-chocolate chip pancakes to the made-to-order omelets, everything is fresh, delicious, and for the most part, locally grown. But above all, booking with WhatAHotel! will leave you checking your calendar to plan your next visit as soon as you return. Hawaii is undoubtedly one of America’s top vacation destinations, and many of its visitors are return guests who are enjoying everything it has to offer. To see firsthand everything tourists rave about when they mention Hawaii, book the trip of a lifetime here. There is something completely bewitching about Greece. It could be the unbelievable food and wine or even quite possibly the idea of looking out over the turquoise waters of the sea from your white-washed Greek villa, or maybe it is the rich culture and exciting history that is easily found here. Whatever your reason for wanting to spend your vacation in this beautiful country, WhatAHotel! 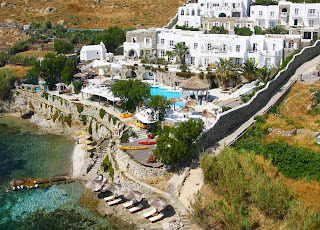 can help you find the Best Hotel in Greece that will ensure your stay will be remarkable. Mykonos, Greece is a Greek island that is part of the Cyclades in the Aegean Sea. Known to attract tourists with its beauty as well as cosmopolitan nightlife, it is also known to entice celebrities from around the world every summer. Other fabulous attractions found here include the stunning architecture, pristine beaches and even some charming windmills. This island may be small, but it will be sure to impress each and every guest with all of the activities, restaurants and resorts that are here to welcome and pamper them. The Kivotos, Mykonos resort is found near the heart of Mykonos and is the perfect place to stay while enjoying this mesmerizing island. Impressing guests with the iconic whitewashed buildings with flat roofs that are nestled together overlooking the bay, the accommodations are top-notch. Whether you stay in one of the cozy rooms or choose the stylish and contemporary suites, your accommodations will prove to be comfortable and very posh. The on-site restaurants are divine, offering everything from casual poolside dining to a more intimate private dining experience. During your time at Kivotos, Mykonos, make an appointment at the amazing spa where treatments are specialized for a sense of well-being and rejuvenation. Head to the private beach or hit one of the pools that will promise to cool your skin. 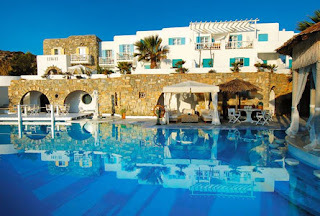 This award-winning resort has everything that you could want and need during your time in Greece. Remember when you book your stay with WhatAHotel! you can receive exclusive complimentary perks and benefits that will make you feel like a V.I.P. in every way. We are also please to assist you in taking advantage of any specials that Kivotos, Mykonos may have to offer to guarantee that you get the most bang for your buck. 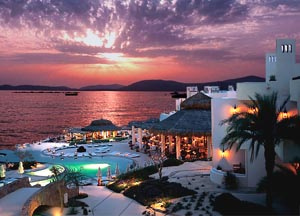 The Greek Isles and the remarkable town of Mykonos are awaiting your arrival. 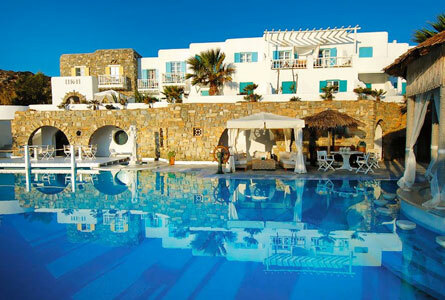 If Mykonos is a tourists paradise than the lovely Kivotos, Mykonos is its Garden of Eden. Stay in a resort that blends the beauty of the landscape perfectly with the architecture and design of the hotel. Your trip of a lifetime to the Aegean Sea and the Greek Island of Mykonos awaits. 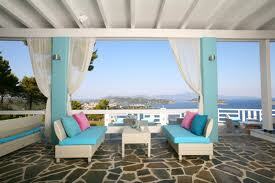 Let us assist you in booking your stay at one of the most amazing hotels in all of Greece. For many, a dream destination might not simply be a beautiful hotel in a spectacular city, but an open road and a very chic car. In Europe this idea has taken shape and become a reality. A tour across Germany does not have to mean a ride on a bus filled with retired folks and ungrateful teenagers, it can be about melting into high-end leather seats, feeling a massive engine roar to life and having either your best friend or significant other by your side. Sound to good to be true? It's not. This tour starts at the doors of the iconic Charles Hotel Munich in spectacular Munich, Germany. Known to be a hotel rich in amenities as well as service. A stay here will showcase bright and open rooms, access to lovely botanical gardens, prime location in the heart of the city and so much more. But don't fall in love too fast with this amazing hotel, because if you choose to procure this driving tour, you won't be in one place very long. 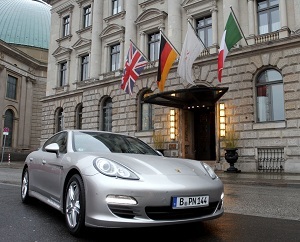 Starting in Munich, tour guests will select from vehicles such as a Lamborghini Gallardo, Ferrari 485 Spider or a Porsche Carrera 911, and head out on an amazing journey that includes a stop at Stuttgart's Mercedes-Benz Museum and then continues into Frankfurt and Berlin. The tour ends at the gorgeous and historic Hotel de Rome. Whatever time of year you find yourself in Germany the tour is available. Just remember in high season the package costs around 4,700 euros per couple which includes four nights of accommodations and a four day rental of a BMW 24 Roadster. Not a bad deal for the experience of feeling wind in your hair and hitting the open road. There is something that makes your pulse pound and your heart race when you find yourself behind the wheel of a fantastic car. Thus the reason that this unique tour has taken off and is available to so many all year round. Driving a luxury sports car through historic streets and visiting interesting sites and cities only adds to the tour's allure. 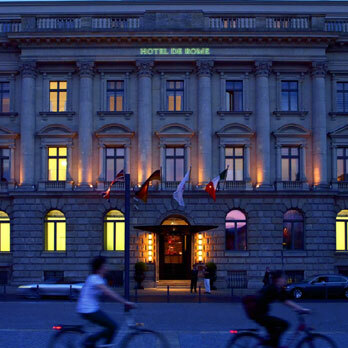 Let The Charles Hotel Munich get you settled into the fantastic city of Munich before you hit the open road. It's charm, conveniences and luxury are the perfect start to what might just be the best travel tour of your life. Upon arrival to your vacation destination, it is always reassuring when your hotel is the most impressive one in the area. You have a sense of relief knowing that your hotel will only add to the trip, not hinder it in any way. The Trump Ocean Club Panama is one such resort. Towering over Panama City and the Punta Pacifica's peninsula, the awe-inspiring architecture and modern lines give you a glimpse into the majesty that exists inside. 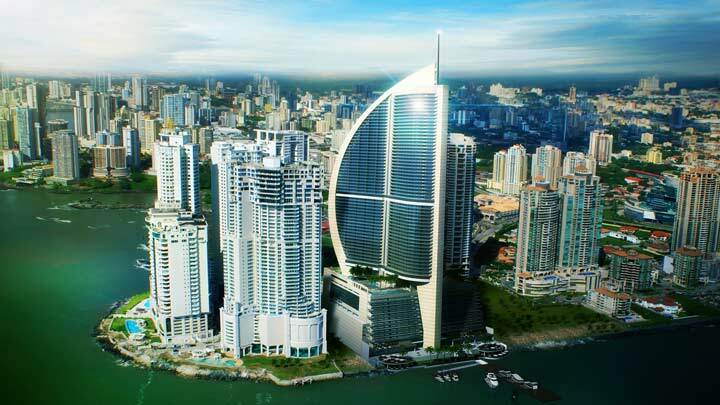 Add to the stunning exterior the Trump name and you no doubt have selected one of the best hotels Panama has to offer. The Trump Ocean Club Panama rises an amazing 70 stories above the Panama Bay and holds a place in the city as one of the most luxurious hotels around. Here guests can find exclusive amenities, innovative accommodations and of course unprecedented service provided by Trump Attache. On the 13th floor of this stunning hotel sits five tempting pools and gorgeous waterfront dining. 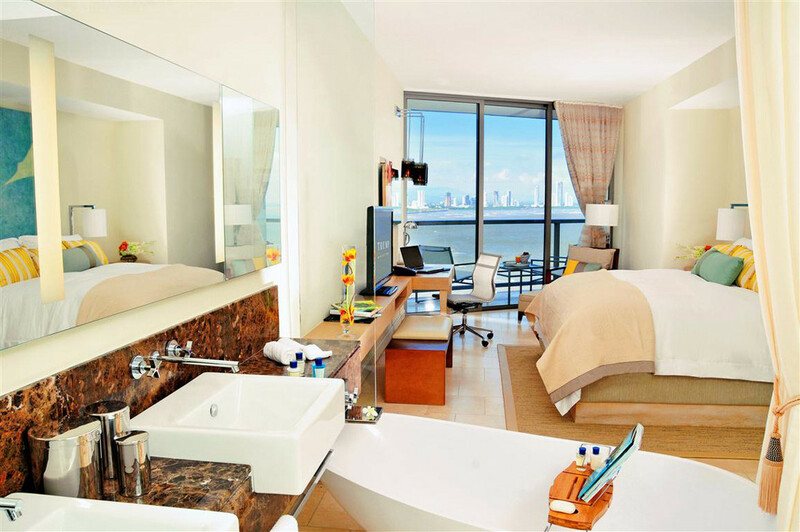 The 369 rooms and suites are fresh and immaculately designed to provide a luxurious as well as comfortable stay. The hotel also offers guests and non-guests alike the availability of four mouth-watering restaurants and lounges. 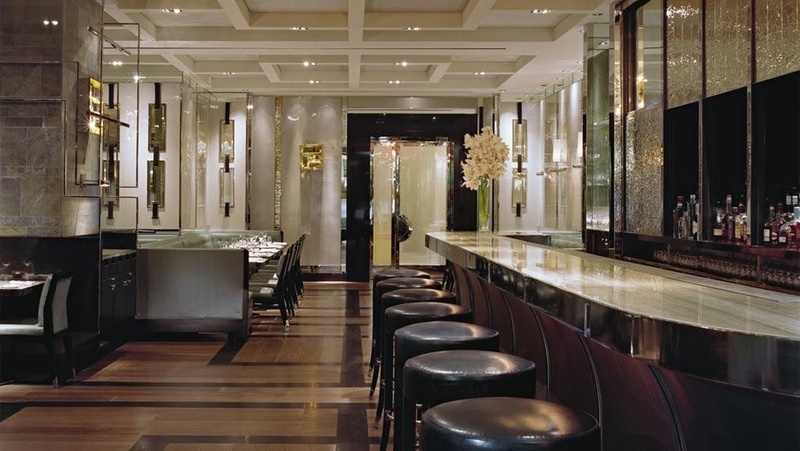 The cuisine and cocktails offered here promises to be imaginative and delicious. If during your time at the lovely Trump Ocean Club Panama you need some help unwinding, ask the concierge to book a spa appointment in the comfort of your own guest room, or have a facial, acupuncture or take a yoga class at a nearby salon. Other fabulous amenities include the modern fitness center, shopping plaza and let's not forget the Trump Kids and Trump Pets programs to keep your little ones happy. 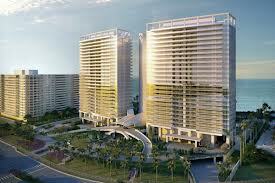 Coming soon, late 2014, Trump Ocean Club Panama will also feature an on-site casino for those feeling lucky. No convenience has been overlooked at the remarkable Trump Ocean Club Panama. Book your stay here with WhatAHotel! and you will also receive exclusive complimentary perks and benefits in addition to the already stellar amenities provided by this beautiful hotel. The Trump reputation is for excellence in every aspect, including design, function and style. 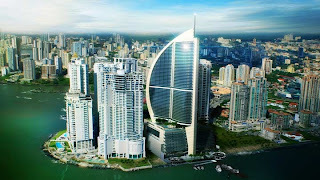 The Trump Ocean Club Panama has become an iconic part of the Panama skyline with its unique and creative exterior and as of today, stands as the tallest and largest building in all of Latin America. Already a landmark location, a stop here is a must. But add the ability to enjoy the best service and amenities a hotel can offer, and you will find that the Trump Ocean Club Panama is a real gem.